How to do dust collector and removal when the gas or smoke dust is sticky? The need for economic development is science and technology, and the production of industrial products also increases with the environmental problems, air pollution, smoke and dust emission exceed the standard. The situation of air pollution is very severe. At present, it is necessary to use activated carbon adsorption, desulfurization and denitrification equipment as well as dust filter dust remover in order to realize the emission of smoke and dust emission from industrial enterprises. What is the main dust collector for viscous flue gas dusting? -What is the measure of the adhesion of dust? What is the stickiness of dust? The adhesion of dust to the surface of other substances can be said to be that the dust has adherence, and that the adhesion also has a strong and weak point. The general adhesion strength is higher than 600Pa, which is called strong adhesive dust, but between 300 and 600Pa, it is called medium adhesive dust, like some adhesion strength below 100Pa at more than 60Pa In other words, it is only slightly adhesive. If adhesion is below 60Pa, adhesion can be ignored. -What are the effects of dust adhesion on dust collector equipment? If dust collector pipes have been blocked or there is dust sludge, then this is the phenomenon after filtering the sticky flue gas. In the past, the dust removal technology is still relatively backward, so it is also a lot of effort in the maintenance of dust removal equipment, if it is easy to clean up the dust on the wall of the equipment can be used reluctantly. But there is adhesive dust on the polar plate and pole line of the electrostatic precipitator, so it is difficult to remove. For the bag type dust collector used, it is really a nightmare for the dust adhesion to the dust collector filter bag, so the number and intensity of the dust removal should be increased; and for the filter bag filter equipment used, we know that the filter bag is the main part of the dust collector. The treatment of this kind of sticky flue gas, we can reduce the filter area of a single filter bag, increase the number of filter bags, thereby improving the ash removal effect. 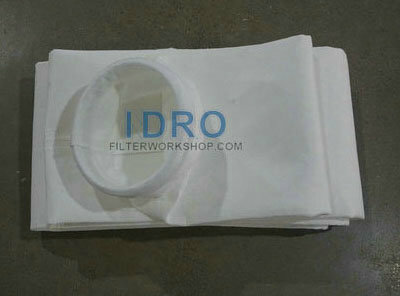 When gas dust is sticky, normal filter material cannot filter it very well, we shall use PTFE laminated filter bags, which is with smooth filtration surface, dust cleaning will be easy and dust will not go into the inside of filter material to realize surface filtration.